Every Sunday, Making A Mark features one of the insanely talented artistic folk, currently living up large on the pages of deviantART.com. Selection is simple; search for a visual character, pick the greatest visual, then give it's maker a little brag spot right here on IADW. 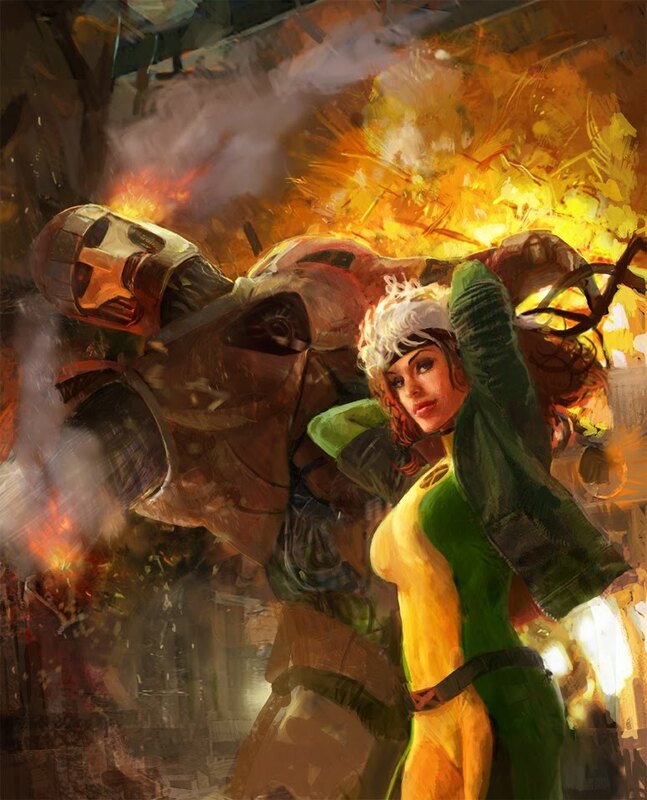 The playful yet indestructible southern belle that is the X-Men's Rogue, strikes yet another awesome image in this painting by Spanish illustrator Nacho Molina Parra. With a wide variety of subjects falling under the skills of his paintbrush, from pirates to video game stars, to even characters you thought you had forgotten - like The Biker Mice From Mars - all are done in stunning, almost life-like detail. What's more, the textures the 24-year old artist uses in each piece are just incredible. Feast your eyes on this capture of the Green Goblin's head, as a detailed portion of the larger Spider-Man pursuit painting above, to see what I mean. 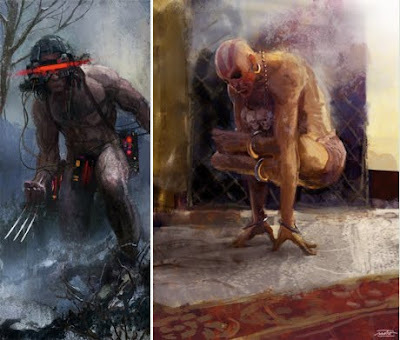 To explore his full portfolio and the intricate details of all the pieces shown, either visit his deviantART page, or click over to follow him on right here on blogger. 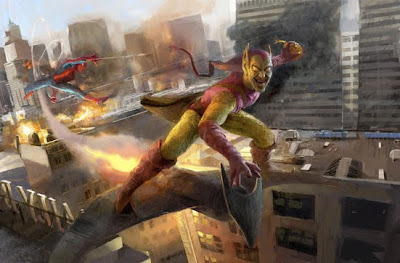 That Rogue/Sentinel painting is awesome! 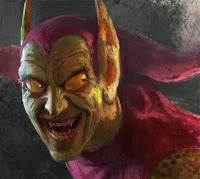 ditto on the Green Goblin/Spiderman just below. Thanks for that David! It is pretty hard going to do a bad Rouge image - but that one sure is one of the best.